Let’s continue with first drafts with an updated look at what not to worry about in a first draft. Writing a novel is a lot of work. There are plots to weave, subplots to finagle, characters to grow, conflicts to craft, and that’s before you get to the actual writing part. With so much to worry about, it might be good to know there are some things you don’t have to worry about until after your first draft is complete (such as spelling and grammar). You don’t need to have every detail in the draft planned in advance. It’s okay if you’re not sure exactly what something looks like or how something works. I’ve found it quite useful to simply make a note to return to that detail what I’ve figured out more, such as [research] or [describe]. For example, I once hit a point in a first draft where my protagonist needed to describe a character to someone to learn her name. I needed a visual tag for him to do this (something that made this girl stand out), but since she was a minor character until I needed her to do more, I never bothered to give her more than a name. I wrote the scene, but added [add tag] to remind myself to add in this character trait later. The note allowed me to keep writing and didn’t halt my momentum by having to stop, decide on her trait, then go back to where I first introduced this girl and add in the tag I’d need for this scene. What makes this even more useful (and fun), is that the girl herself was a throwaway detail I wasn’t sure I’d need again, but I named her anyway because you never know where the story will lead. And after this scene, I thought of another way in which she’d be useful, so this throwaway character grew into a bigger and more important role. Not bad for someone who was named just because my other protagonist needed to be able to talk to someone at a dinner table and not using her name was implausible and awkward. The characters need to eat, but you’re not sure what they might have that fits your world. The character’s meet a priest, but you don’t want to use the word “priest” because it doesn’t fit your story. Your protagonist suddenly has a phobia that works perfectly for the story, but hasn’t exhibited it before that moment. Things come to us as we write. As we sprinkle in random details, some of those details start connecting later in ways we never imagined. Even better, since random details came up naturally in the text, by the time you’re done polishing (usually a few drafts later), it all reads as if you’d planned it all along. When you’re writing that first draft, don’t worry so much about the little things if you’re not sure about them. You can always mark it to remind yourself to fix it later. Having too many characters is a problem for a final draft because your poor reader won’t know who to remember and who is never showing up again. But in that first draft? Use whomever you want, and even name them if you feel like it. Toss in random people in the hall, a friendly waitress, a casual acquaintance. You never know when you might need a character later—one of these throwaways might be the perfect person to bring back. Random details can stir around in your subconscious and pop out when you least expect them in some very unpredictable and interesting ways. In fact, the character Danello in The Shifter was such a throwaway detail. I needed someone in chapter four to do something for the plot, and it suddenly made total sense that the nameless guard from the first scene would be the same guy. A minor, nameless character became one of the core characters in the series. Post First Draft: Once the draft is done and you see how the story plays out, then go back and get rid of , or combine, unnecessary characters. It’s okay for the characters’ emotions to be all over the place while you’re still figuring out how they feel about everything. Realizing they’ve reached a certain point emotionally can even force you to work a little harder to get them there, and you might create a character arc you wouldn’t have had otherwise. For example, if you discover you really need your protagonist to be freaked out for a scene when they’ve always been calm as a cucumber, let them freak out, but make a note to go back and lay the groundwork later so their emotions are consistent and lead up to that freak out. Post First Draft: Remember to check the emotional consistency of your characters. If they suddenly act out of character or inappropriate, find out why and fix it. You’re bound to have some of these in place before you start writing, but often you’ll discover you need the world to work in a certain way for the plot to work. A detail, a belief, a ritual, a location, whatever it is, you don’t have it already established so it comes out of the blue. Don’t worry about it. Do what needs to be done and lay the groundwork after. If you discover a nasty secret about your world halfway through chapter twelve, just think about all the interesting things you can do in chapters one through eleven to build up to that secret. 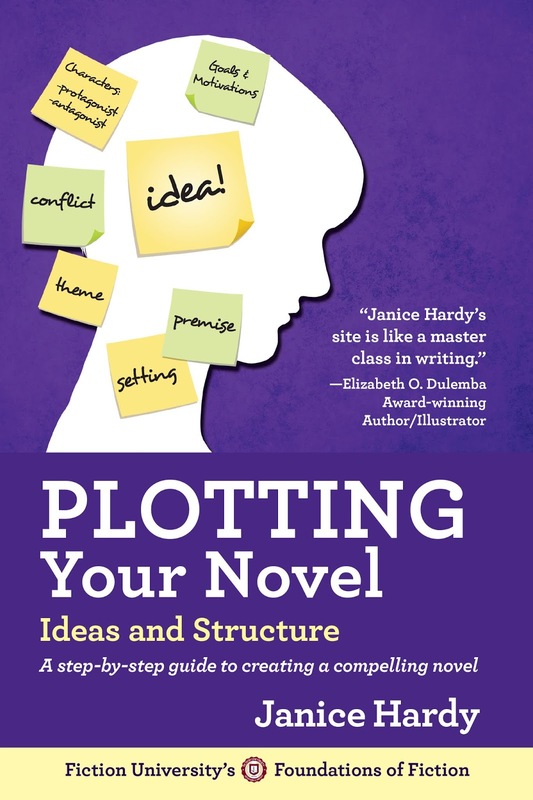 You might even find a subplot or complication for your protagonist. Post First Draft: After the story is down, make sure the world feels fleshed out and all those details and mechanics make sense. If something you planned didn’t work out, yank that out of there so it doesn’t confuse readers. First drafts are usually messy, bad, and scattered. Don’t worry if yours follows suit, and don’t worry if you don’t have everything worked out from the start. A lot of times we don’t know all the answers until we start asking the right questions, and we won’t know what to ask until we see our protagonist in action. Throw in what you need when you need it, and decide later how much of it stays, what can go, and what needs a little more polish to make it work. What do you worry about in a first draft? What do you ignore? My first drafts usually get very savaged. I write like you, Janice and I can't see any other feasible way to do it. 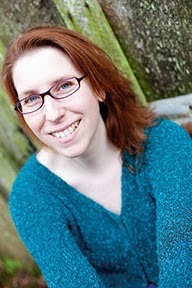 But Amanda Hocking said on her blog she wrote a book in a week. And John Boyne wrote The Boy in the Striped Pyjamas in a similarly short period. How is that possible? They must be genius. Or maybe they're talking final drafts only. Or Amanda Hocking & John Boyne could be talking about first drafts. My first drafts tend to be shorter than the final draft, sometimes a quarter of the size of the final, which is easier to draft quickly. And then I've written 2k words in an hour before. That's my exception, not my norm, but if someone had that as his/her norm they could get a first draft out fast. …Sorry if I'm not entirely coherent. I've fallen sick. And every writer's process is different. Don't assign too much importance to another writer's system. You do you. This was a great post, Janice, and something that I really needed to here. I am in the middle to the end of my first draft and everything just feels trite and stale. I had a big middle event happen, and it's like pulling eye teeth. Thanks for this advice! I am definitely going to make use of it! Brilliant post and good timing. Your reassurance comes just when I thought my first draft was getting away from me. Valid writing advice. Something rare on the web. I'll tweet that. This is great advice. I've started taking notes while writing my first drafts too. Very helpful to have some organized thoughts somewhere for me to look back at after, without interrupting the momentum of writing. I do the same thing, except that if I already have a pretty good idea of what I'm going to do, I often can't resist going back to that earlier chapter and making some of the revisions immediately instead of waiting until I finish the first draft. Just can't help myself. But I am getting better at not doing it. Of course, I'm still on the first draft of my very first book, so it's too early to say whether it's going to turn into a habit. Carradee, I understood you 100 percent and I'm sick too...is there a common denominator there? This is a valuable advice for someone like me. I tend to toss my incomplete first drafts, because they're not working, and start over. I read somewhere (a long time ago) that it's best to write your first draft as quickly as possible (relative term) to keep the pace and momentum of the story. I've found this to be true, as constant editing stifles those creative impulses. As well as doing a lot of the things you've mentioned in the post, my first drafts are also sprinkled with sentences that have five or six similar words in brackets because I can't think of exactly the word I need, but those five or six (sometime more, sometimes less) give me the general feel of what I'm looking for. I also love the way that inconsequential things in first drafts often come to have more meaning, or inspire later events. Magical. Great post janice. I will certainly use the tags as reminders. Thanks. Great advice - thanks, from someone just about finished my first draft and therefore is relieved to know I'm working in the right way. Anon: I'd guess first drafts. My best writing day was 5K words, and that was all day with the creative juices flowing like mad. So if that was normal for you and you had the time and ability to do that, that's what, 150K in 30 days? More typical for me is 1500 words in a morning. That gives me a first draft in around two months. Everyone has their own process and speed. Carradee: Hope you're feeling better now! Elizabeth: Glad I could help. Sometimes you have to write the stale before you find the fresh. Anna: Thanks! Don't worry, first drafts do that. :) They're easier to wrangle once they've worn themselves out. Kathryn: Totally. I use my outline for that. I have a notes section at the top, then my chapter by chapter summaries. I'll often summarize what I want to do in my outline and flesh it out before I write just to get those first ideas out of my head. Anon: Aw, more sick folks. Hope you're also feel better now. Could be the pollen. It's evil here and makes me feel horrible. Shauna: I can see that. If it takes too long you forget what you wrote, and if you revise too much it can be hard to remember which version something happened in (I ran into that with Blue Fire) and you have to keep checking. Bron: Happy to help. And there really is no "right way." Whatever works for you is what works for you. But I know what you mean -- it's good to know that you're not doing something "wrong." This is exactly how I'm writing my first draft for my WIP! So comforting to know that others write this way as well :). Jennifer, I've learned no matter what you do, there's a writer out there who does it the same way. :) Usually a whole lot of them. "The character’s meet a priest, but you don’t want to use the word “priest” because it doesn’t fit your story." This particular problem is the one that always ALWAYS makes the going of the draft slower than a snail for me. I'm ALWAYS clicking on Thesaurus.Com. And I can't seem to just glide past these words that aren't quite right. It took me a while to get over it. I found adding [need better title] after the first one let me not worry about it after that. Hope it works for you, too, or you find something that does. Great post. I just finished my first draft and I tried a new way: just write and get everything down. I'll admit this was a scary process because I am one who edits as I write. But since editing as I write was taking forever, I decided to try this method and voila, I finished my draft in two months. Thank you for sharing, because I did much of what you recommended. This was a helpful post. Grats! Hopefully the editing will go just as quickly and you'll be happy with the new process. :) Good to shake things up once in a while. You never know what might work for you.